In Kerala, being successful matters. Students are encouraged to excel at studies. Having done so, they are expected to do well in a professional career of their choice, typically one picked off the existing list. Entrepreneurship does not command premium. It is risky. Where is the guarantee that you will succeed? Rakesh Rajeev had the desire to do something on his own. Thiruvananthapuram’s emergent growth engine is in its northern suburbs. This is where Technopark – India’s largest IT Park in terms of developed area – is. April 2019; a late evening: the bypass leading from Kazhakoottam to Kovalam was filled with traffic. By the side of the road; crowds of people leaving work for home, waited for buses. Rakesh Rajeev drove carefully. In that IT environment, he was odd man out. Things were common to the point that all companies – including the majors at Technopark – owed their origin to entrepreneurs. Rakesh was one. But the field he elected to be in wasn’t IT although he was once located in Technopark and now worked nearby. Rakesh grew up in Thiruvananthapuram. Upon completing his B. Tech from College of Engineering Trivandrum (CET), he and two others commenced a partnership – Cares Renewables – in the field of renewable energy. The company functioned from Coimbatore. 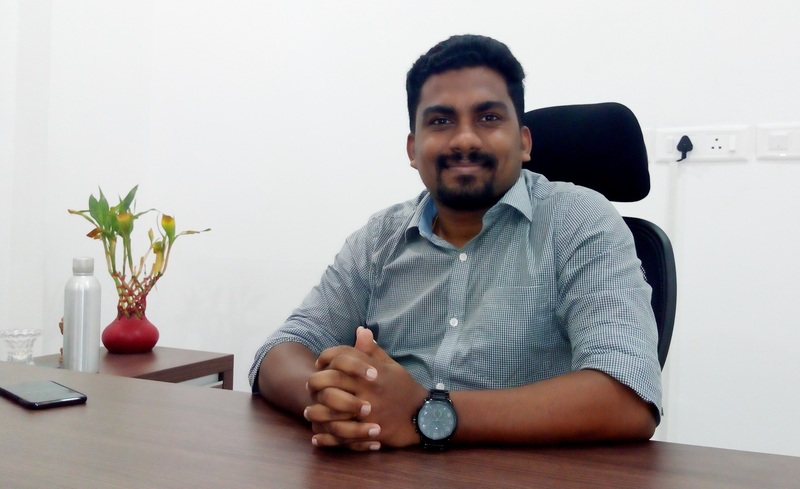 A year down the line, Rakesh, having cleared the Common Admission Test (CAT), was accepted to do his Master of Business Administration (MBA) at Indian Institute of Management (IIM), Ahmedabad. He turned over his shareholding in the newly floated company to his partners and proceeded to do his MBA. Following his first year of studies at IIM, he was selected to do an internship with Johnson & Johnson, partly in Japan, partly in Mumbai. Once he finished this assignment and completed his MBA, he decided to set up his own enterprise. It had to be in the field of sports or education and it had to do with products. That was his resolve. “ I was always a product person,’’ Rakesh said. He was born 1989. His father, Rajeev Madhavan, used to work with the Harbor Engineering Department of the Government of Kerala. His mother, Latha P. K, was once a national level track athlete. She had been part of Kerala’s 4×100 relay team; this was in times when P. T. Usha was also part of the quartet. One of the modules Rakesh did, while at IIM Ahmedabad, dealt with sports marketing. He did a study on the market for sports apparel. He also looked into the intriguing aspect of most major home grown sports apparel brands being from North India. There were very few in the South. A technical reason for this was the concentration of synthetic textile-processing facilities in the north. A secondary reason could be – a lot of India’s sports venues and sports administration is based there. It was these brands from the north that sold around the country. Later, Rakesh also spent time working in Tiruppur, the leading hub for apparel manufacturing in South India. He used the opportunity to study the apparel manufacturing business and explore the place. “ I decided to create an apparel brand, hopefully one with potential for international presence at some stage,’’ he said. That aim is easily articulated. The bigger question is – how do you navigate your way to getting there? The immediate challenge therein was finding unique relevance for his product to gain toehold in a market with hundreds of brands; big MNC brands on top. Rakesh zeroed in on customization as his chosen niche. The underlying logic for this was the rising interest in sports in India and the proliferation of teams, right down to teams representing schools, colleges, housing societies, clubs, companies and workplaces. People were organizing events. Nothing identified a group of people as team, as much as identical attire replete with same logo and artwork did. But Rakesh was neither first in the space nor the only one around. Although gaining momentum, customization had been around for long. Rakesh’s project for a sports apparel company was among five ideas selected by IIM Ahmedabad to incubate at their Center for Innovation, Incubation & Entrepreneurship. Although he was allotted funds he didn’t take it; he wanted to set up his company in Kerala. “ I always wanted to do something back home,’’ he said. It was both unusual and apt. Unusual because most Indians excel academically as means to escape the Indian environment and in Kerala, escaping the Kerala environment has been fashion for long. On the other hand, Rakesh’s decision was apt because if not to apply what you learnt in challenging circumstance, what else did you study for? In 2016, Rakesh’s company made its debut operating from a garage at his home near Kumarapuram in Thiruvananthapuram. It promoted Elk as brand name for the apparels it made. For initial investment, he had some money from his savings plus capital contributed by his brother and parents. The whole family pitched in to help. Very simply put, the process entailed the following – the basic raw material was white fabric (it had to be shipped to Thiruvananthapuram); the images required by customization were transferred to it using machines, the fabric was then cut to dimension and finally, stitched. During his days in Tiruppur, Rakesh had learnt techniques related to image transfer and fabric cutting. Once he set up his own enterprise in Thiruvananthapuram, he procured and installed the required machines in the garage at his house. He taught his parents and brother the relevant techniques. The family did image transfer and cutting. For stitching, which requires more skill, Rakesh took the cut fabric to Tiruppur. This was the initial pattern. It wasn’t long before he realized the merit in being able to do everything under one roof. The reason was simple – a lot of the customization centered on sports events and was therefore time sensitive. You had to be able to turn around orders fast. But to invest and get everything under one roof a business had to first show promise and acquire some scale. The early days were a struggle. “ In the first six months, we had less than six orders,’’ Rakesh said. But the online model showed him interesting things about the market. One of his first orders was from Jammu & Kashmir, for customized cricket apparel. A football team from Bengaluru placed orders; a women’s volleyball team from Goa placed orders. Slowly the business picked up. The Internet linked orders to garage in Thiruvananthapuram and in a few days shipment – after processing in Kerala and Tiruppur – commenced journey to customer. In Thiruvananthapuram, even as it operated from the garage, Rakesh’s project was selected for support by the Kerala Startup Mission. It was a bit unexpected because the Mission’s tastes are generally associated with products related to sectors like IT, automation and robotics. The Mission gave him office space at the city’s Technopark, one of India’s biggest IT parks. He now had small office space with desk and couple of chairs for address, the garage for one half of manufacturing and contract work in Tiruppur to finish orders. Meanwhile there were angles pertaining to business economics to address. The fast drying white fabric, which was the fundamental raw material for Elk apparels, was reaching Kerala from outside. Image-transferred and fabric cut in Thiruvananthapuram, it traveled to Tiruppur for stitching. That wasn’t efficient logistics, cost-wise. In 2017-2018, Elk was reserved for use as the company’s retail brand. The growing customization business was promoted under a new brand name: Hyve Sports. Two more developments happened. A small design and manufacturing unit was set up at the KINFRA International Apparel Park in Thiruvananthapuram. Another manufacturing unit was commenced in Tiruppur. All processes owned by the company meant, faster turnaround time for orders. “ We now ship in seven days. We have dispatched to all states and take orders from all over the country,’’ Rakesh said. He also looked into the economics and nature of his manufacturing locations. Although the three primary steps – image transfer, fabric cutting and stitching – are available at both units, the Thiruvananthapuram unit is progressively becoming more partial to tasks requiring creativity and design. Tiruppur is being positioned to take on more of the manufacturing load. Viewed so, that may also be where the business around Elk could get centered as the branded retail business is very much about manufacturing; its efficiency and cost. “ It isn’t as simple. There are other angles to study as well. So we have kept all options open,’’ Rakesh said. In 2018, his company was selected to supply apparel that year for all Kerala state teams, spanning track and field disciplines to games. 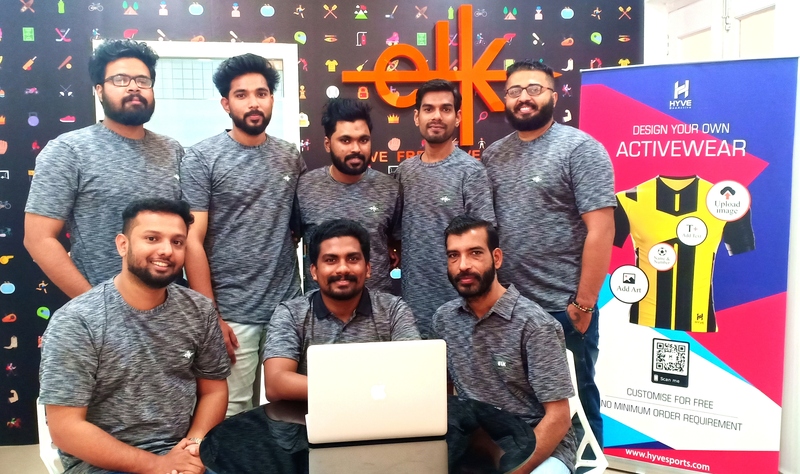 Elk is planned to debut in the retail market around end-2019. Before that Rakesh hopes to test the waters, selling it through online portals like Amazon and Myntra. It was April 2019; a late evening. As we negotiated the traffic on the road back to Thiruvananthapuram city from the apparel park in Kazhakkoottam, Rakesh’s phone rang. It was his mother. The erstwhile sprinter, now actively helping her son with his sports apparel enterprise, had called to discuss business details. This entry was posted in Industry, People, Sports. Bookmark the permalink.